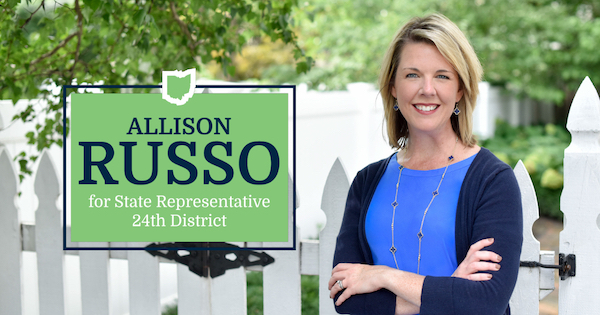 Allison is ready to help tackle Ohio’s significant challenges, working collaboratively to create a government that listens and responds to the needs of our district. Donate today and help us keep the momentum going! If you prefer to donate with a check, checks should be made out to "Citizens to Elect Allison Russo" and mailed to 1850 Tewksbury Rd., Columbus, OH 43221.